AUSTRALIA’S health sector has an increasingly sophisticated network of Aboriginal and Torres Strait Islander health and wellbeing institutions. This is coupled with increasing capacity in the research and data fields, and multiple intersections of accountabilities across federal, state and territory, regional and local levels. To improve health outcomes for Aboriginal and Torres Strait Islander people in this context, we all need to increase our focus and collaboration with Aboriginal and Torres Strait Islander organisations and communities. We all need to understand our individual roles in growing the knowledge and evidence base. And, finally, we all need to be united in calling for stronger accountability, particularly in holding mainstream health organisations to account. For the Lowitja Institute, we do this through knowledge translation (KT). We are Australia’s national Institute for Aboriginal and Torres Strait Islander research and our current practice defines KT as a series of strategic interactions that effectively connect research evidence to changes in policy and practice. KT enables us to create a direct link from community priorities, to evidence base, to policy development, then finally to monitoring and evaluation. We believe that in this link lies the opportunity to close the gap between policy production and successful implementation. It is therefore critical that Aboriginal and Torres Strait Islander committees, organisations and researchers take the lead in this KT space to grow the positive impact of the knowledge and evidence base. All our KT activities stem from our research principles: that we will act for the benefit of Aboriginal and Torres Strait Islander people, provide leadership, engage research end-users, strengthen the Aboriginal and Torres Strait Islander research workforce, and measure impact. These activities are undertaken both internally and externally. Internally, we require and support a systematic approach to embedding KT across our more than 40 research projects at present. This is done throughout the research design and also by providing additional funds to implement KT plans. The plan ensures that projects translate research based on their key findings and their intended audiences. The steps that each KT plan covers is outlined below in Figure 1. Externally, we engage in a series of strategic interactions that support organisations, policy makers and communities to engage effectively. For example, we hold regular KT forums that give us an opportunity to highlight the work of the Institute to commission, coordinate, collaborate on, and translate research to inform future strategic decisions in policy development, service delivery and evaluation. In May 2018, we held a KT forum in Canberra, presenting three of our funded research projects with direct relevance for policy makers, researchers, services and other professionals. The projects focused on deficit discourse (patterns of thought, language and practice which represent people or groups in terms of deficiency – absence, lack or failure) in Aboriginal and Torres Strait Islander health, on program evaluation, and on service integration for early childhood development. Funded by the Lowitja Institute, researchers at the National Centre for Indigenous Studies have been studying deficit discourse in policy-related documents about Aboriginal and Torres Strait Islander health and wellbeing. This research found that most statistical indicators in policy documents reduce rich and diverse Aboriginal and Torres Strait Islander populations to a singular entity that then becomes defined by a “failure” to achieve “normality”. They also found this can eclipse the reasons underlying statistical differences, such as lack of access to appropriate health services. The evaluation project team at the University of Melbourne found that all Australian governments have principles for working with Aboriginal and Torres Strait Islander people that should be integrated in all programs. For example, principles such as a holistic concept of health are not consistently reflected in tender documents (16.7%), evaluation reports (32.8%) and peer reviewed literature (25.9%). This is particularly true of principles of cultural importance to Aboriginal and Torres Strait Islander people. Their project output includes a “what to evaluate” framework that provides guidance about how to evaluate the implementation of these principles. A review of publicly advertised evaluation tenders over the past 10 years found that only 5% of tender documents and 48% of evaluation reports were publicly available. Ethics approval was only mentioned in 28% of tender documents, 21% of evaluation reports and 80% peer-reviewed literature. The “how to evaluate” framework also outlines the ethical responsibilities of all parties in the evaluation, including government and other commissioners, to ensure that evaluations benefit the Aboriginal and Torres Strait Islander people by translating the evidence generated into action. The research project on the service integration for early childhood development is ongoing. The project is based on the premise that closing the gap in health will require deeper and more effective models of collaboration among service providers and between services and communities. The researchers reported that they are looking at partnership arrangements in multiple sites across New South Wales and Queensland, focusing on what it means to be truly family-led and family-centric, and for families to make decisions. They are mapping how people feel a sense of empowerment or the ability to be self-determining and make decisions for their children. Also being studied is how people move from being a sometimes commodifiable resource for service delivery to a situation less dependent on welfare services, where less interventions and more agency are the norm. By consistently practising ethical, rigorous and responsive knowledge generation and translation, the Lowitja Institute contributes real and lasting benefits for Aboriginal and Torres Strait Islander peoples. It also contributes to growing capacity in Australia’s health sector to support and sustain community-driven research, promote Aboriginal and Torres Strait Islander self-determination, and show respect for Aboriginal and Torres Strait Islander leadership and knowledge systems. Leila Smith is a Wiradjuri woman who was raised in Canberra. Leila is the Knowledge Translation Manager at the Lowitja Institute. 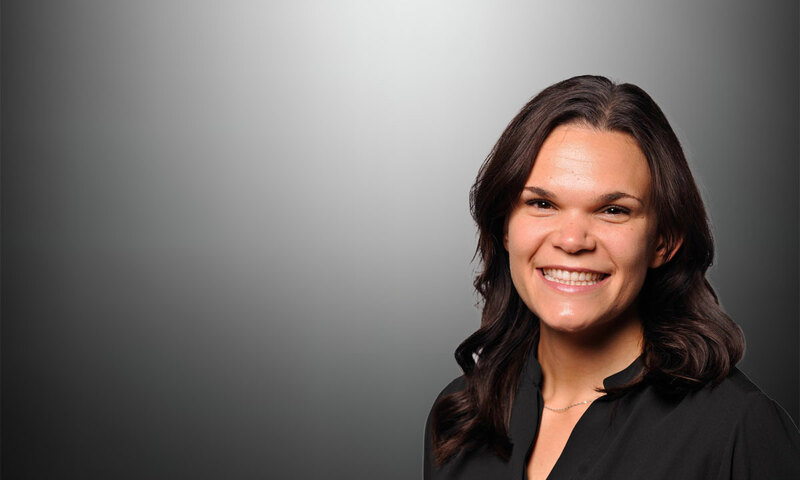 Before her current appointment, Leila was a management consultant with Nous Group, and the Policy Manager at the Australian Indigenous Doctors’ Association. She holds a Master’s in Public Policy from the University of Cambridge, and a Bachelor of Arts (Hons I) from the Australian National University. The Lowitja Institute is Australia’s national institute for Aboriginal and Torres Strait Islander health research. We are an Aboriginal and Torres Strait Islander organisation working for the health and wellbeing of Australia’s First Peoples through research, knowledge translation, and by supporting Aboriginal and Torres Strait Islander health researchers. It operates on key principles of Aboriginal and Torres Strait Islander leadership, a broader understanding of health that incorporates wellbeing, and the need for the work to have a clear and positive impact. Our 22 partners around Australia include Aboriginal and Torres Strait Islander health organisations; state, territory and Australian government departments; and academic and medical research institutions. There is such an enormous difference in indigenous and Caucasian,Asian culture that I think it is almost impossible sometimes.. There is a long way to go.Everybody has to be patient.